It seems as though more and more Afropop artists have started making music in their home languages, following in the footsteps of industry hotshots Ringo Madlingozi and Thandiswa Mazwai. 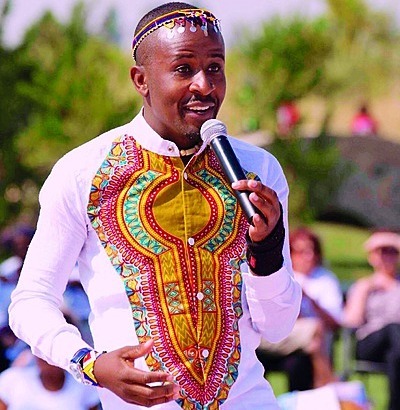 Just like them, upcoming singer Mahlatze Vokal from Seshego in Limpopo reconnects with his roots by composing music in his mother tongue. We caught up with the talented muso to find out why heritage is so important to him. I’m a shy guy but love music and per-forming. I’m 35 years old and I’ve been in the music industry for a while now. I strongly believe that I will make an impact with my music. I’m into Afropop and I sing in Sepedi because it’s my home language. People always tell me that I make them proud of the language and that I make it sound romantic. And, because I sing in my home language, I’m starting to appeal to younger audiences. Why did you decide to sing in Sepedi? I embrace my culture and I wanted to restore pride in speaking more of our home languages, as opposed to always speaking or singing in English. I started singing with a group called Muzo in 2005, but after I moved to Johannesburg in 2013 I decided to go solo. What are some of the challenges you’ve encountered since starting your music career? The music industry has its own chall-enges. I think you must be ready to get into the industry and learn the business side of it as there are always people waiting to exploit you. Have you released an album yet? Nope, not yet, because I’m still working on my debut album which I plan to release in June. However, I have a single out already, called Freedom, and it’s dedicated to Nelson Mandela. I’m also releasing another one in May, called Africa, to help celebrate Africa month. Are you married or is there a special lady in your life? No, I’m not married! I am currently single. Yes, I have a beautiful three-year-old daughter named Bianca. What kind of a father are you? I love my daughter and I spend time with her every chance I get. I take her to crèche every day. My mother, whom I lost in November last year, taught her to pray so every time she gets into my car she prays. I’m very close to my daughter.